Due to the craziness of the first half of 2018 that I will outline in a later post, I really have not been biking very much this year. So I figured for this ride—one that would continue my double-century-every-year streak that dates back to 1996—a flat, or at least flat-ish, ride that I’ve done before was in order. Say, on backroads to the Cornhusker State. A journey that would feature only a half-dozen or so traffic lights. My legs ended up feeling surprisingly good (for the first 160 miles anyhow), and I kept stops to a minimum. One was for bladder relief at Highland Middle School in Ault, where there was a clean and convenient port-a-potty outside. A third was the most crucial: a gas station by Interstate 80 at mile 82, where I could resupply on food and drink. (I also stopped here on the return trip.) As customary for very long bike rides now, I indulged in my favorite anti-bonking cure: Pepsi and mini-donuts. 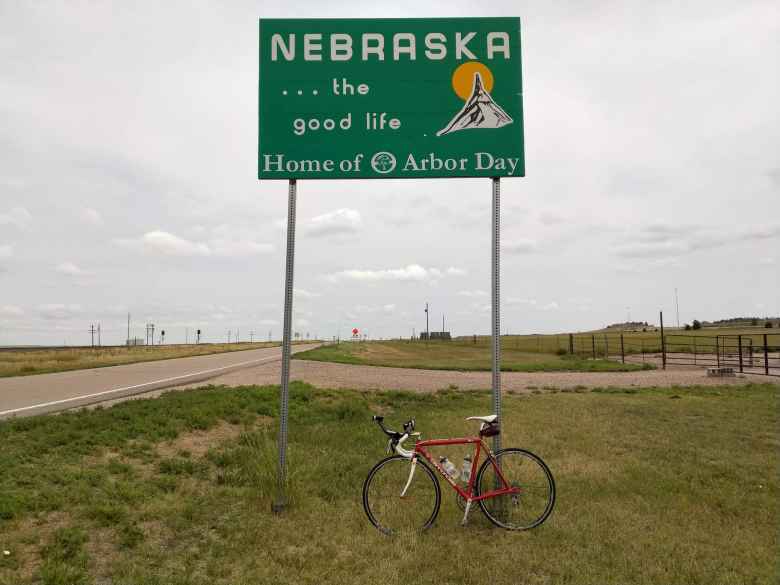 And at Mile 101: Nebraska! I rode 10 feet farther into the state before turning around. The trip was tranquil and fairly unremarkable with the exception of a couple coal-rolling diesel pick-ups trying to smoke me out upon passing. But with 40 miles to go, the skies turned dark and the first raindrops started landing on my brow. Then it started pouring. I tried to gauge which way the clouds were blowing. I must have cycled right underneath the threshold of the storm, as the sun was peeking over blue skies to my right. The legs were starting to feel sluggish too, as if the bike was being weighed down disproportionately by beads of H20 residing on the bicycle frame and fork. I spent the last hour or so musing over what I’d eat after I finished the ride, and I decided that a milkshake was in order. But only after an Epsom salt bath. I got home before dark and despite the lack of training or superlative bicycle fitness this year, somehow the 13 hours, 43 minutes it took to do this ride was the quickest I have done so from Fort Collins to Nebraska and back. 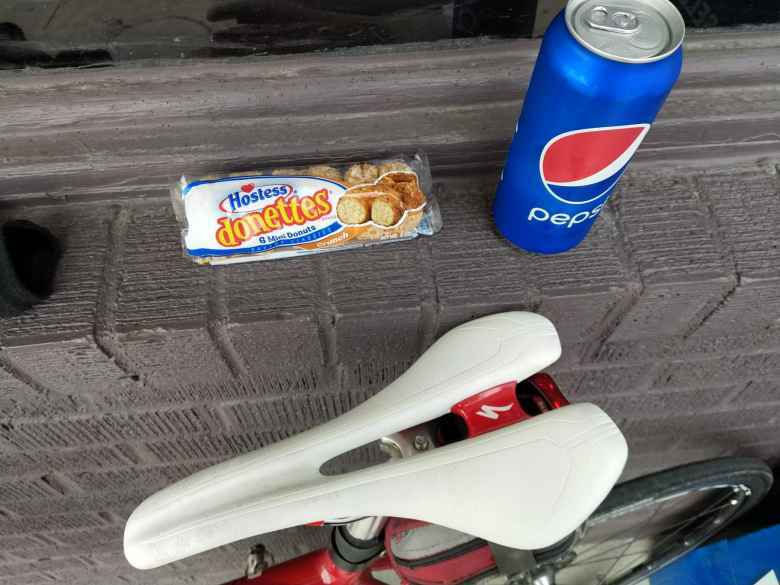 My go-to mini-mart fuel on long rides: Coke and Poptarts. All that sugar tastes suprisingly good and gives me wings. Congrats on keeping the streak alive! Thanks Bev! Coke and Poptarts are indeed a winning combination! Really enjoyed reading about your ride Felix. I’ve been a long time BRAN rider(Bike Ride Across Nebraska)and in 2013 the ride started in Kimball. 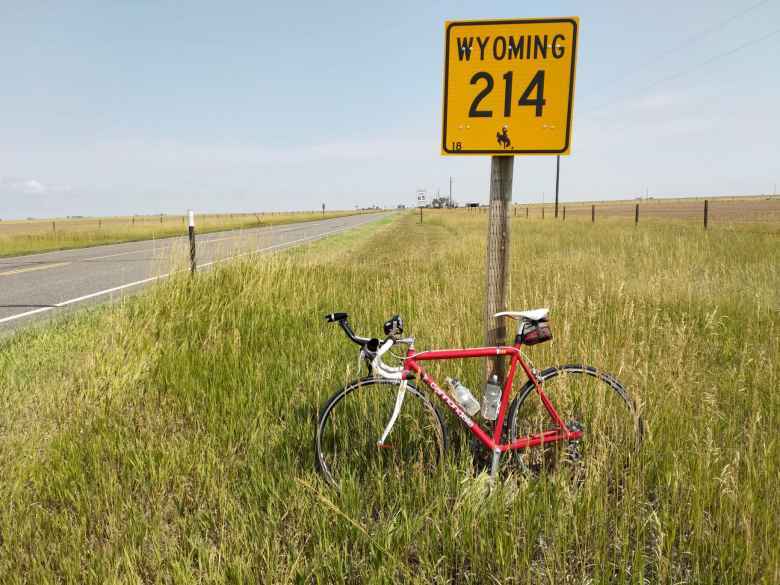 Since we were so close to the Wyoming border a friend and I decided to ride to Pine Bluffs and tag that state as well. Thanks for bringing back some great memories. 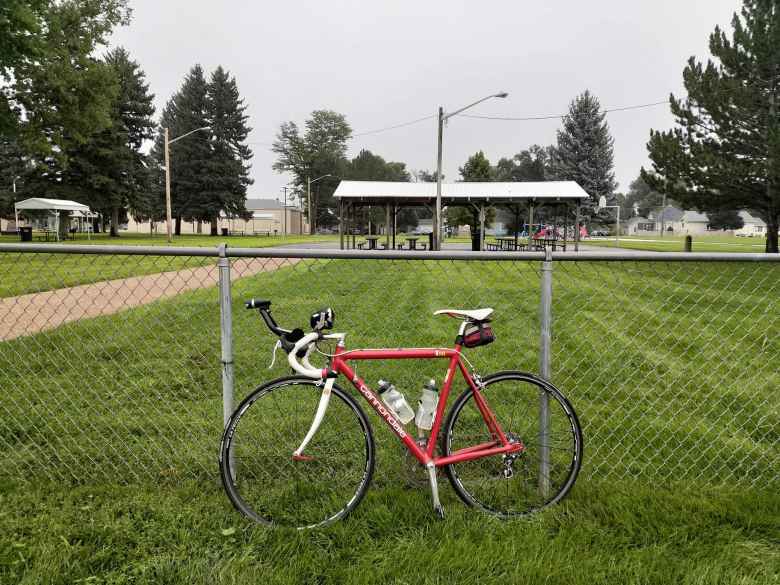 Wow, you rode to Pine Bluffs too! Thanks for your note, John!